Handbook is just one resource available for cities. 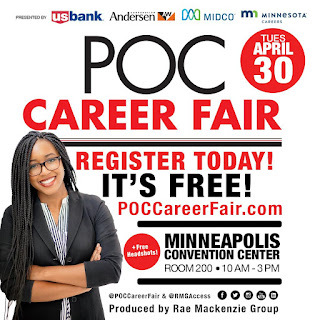 My name is Rachel Walker, and I’m the policy analysis manager at the League of Minnesota Cities, where I administer our training evaluations, support our race equity initiatives, and help out with a lot of projects involving numbers. Right now, one of those number projects is the ramp-up to the 2020 Census. This winter I had the opportunity to hit the road and travel across the state to hear about what cities need to get an accurate Census 2020 count. As part of this, I actually got to road trip with the state demographer, Susan Brower, herself! Not only is Susan great at analyzing large amounts of data and distilling it into stories about our state population, she is a great driver! 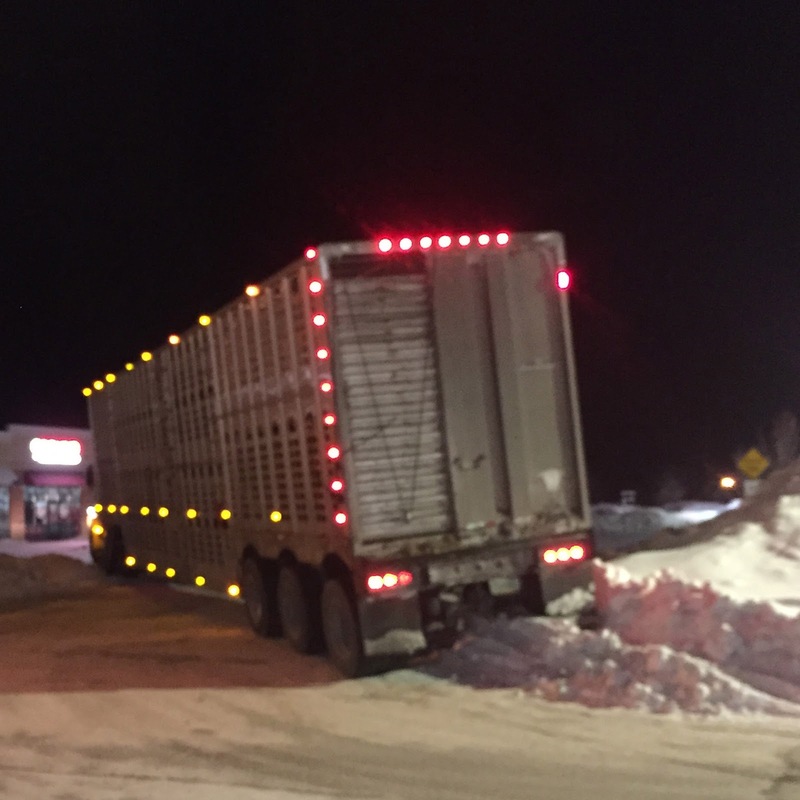 Our journey followed one of Minnesota’s big snow events this year and there were some pretty dicey moments on the road. 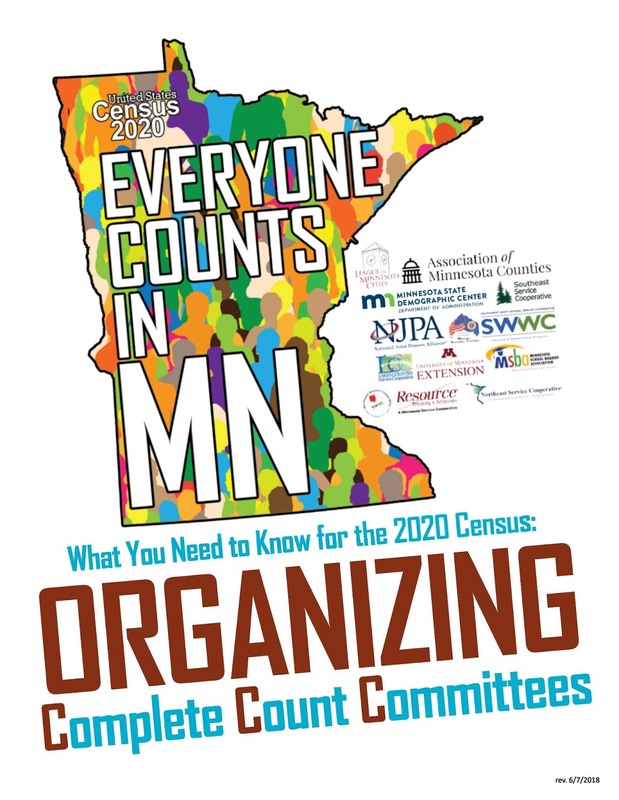 Susan and her staff, along with the League, Association of Minnesota Counties, and the Minnesota Association of Townships hosted gatherings of local governments to learn about forming Complete Count Committees (CCC). These committees will be an integral part of census preparations over the next year. CCCs are forming all over the state and bring together local governments, businesses, community groups, churches and nonprofits for one goal: to count everyone. We want as complete a count as possible because that count really matters. It determines how more than $16 billion of federal funding is distributed in Minnesota; it determines whether our state keeps its 8th congressional seat; and it gives government at all levels good data for doing things like economic development. Cities are getting creative to get the word out about the census and why it is so important. In northern Minnesota, CCCs are considering hosting trivia nights to raise awareness and printing special beer mats for area bars. In thinking about how to reach out to rural areas, one CCC is going to have materials available at the local feed store. A big job for cities and others is to promote census jobs. 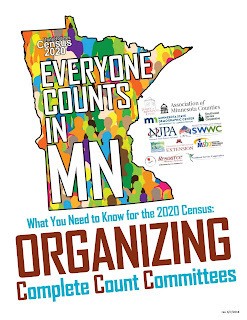 In Minnesota alone, we need thousands of census workers to get the count done. City staff and their partners are taking challenges to getting a complete count very seriously. A major challenge is language barriers. While the census will make available materials and forms in various languages, Somali, Hmong, and Oromo are not among them. In many communities, those three languages are spoken by significant portions of residents. There’s help for cities available now. If you were unable to attend a workshop and are looking for CCC resources, please visit the state demographer’s website. There will also be representatives from the state demographer’s office at the League’s Annual Conference in June this year. If you have questions about CCCs, translation services, or census jobs, please bring them along! Susan Brower behind the wheel. It is always fun to get out of the League offices and see more of Minnesota. I especially like seeing the signs for different cities as we drive along the freeway since I spend a lot of time looking at data listed by city name. 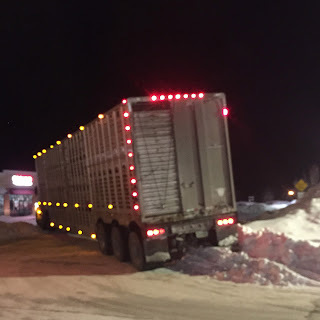 Out on the road, I also learned that I am not a big fan of pizza buffets for lunch and that getting your semi full of live cows stuck in a snowbank doesn’t look like much fun at all. Thank you to all the cities that sent representatives to those workshops. If you have any questions about the census, please contact me at rwalker@lmc.org or visit the state demographer’s website. Minnesota Cities Magazine: What If Your City Had a Cybersecurity Breach? A cybersecurity breach is a real threat and it can happen anywhere. Do you know what to do if it happens in your city? 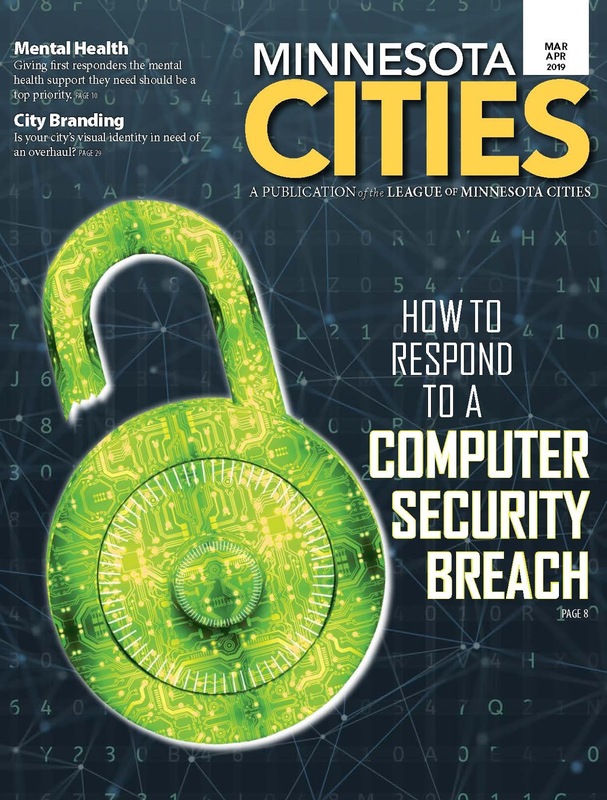 The March-April issue of Minnesota Cities magazine features two cities that dealt with ransomware and phishing attacks, and lived to tell the tale. Yeah, it was scary. But they got through it, and now other cities can learn from their experiences in How to Respond to a Computer Security Breach. Another scary issue facing some of our valuable city employees is mental illness. Police officers, firefighters, and other first responders are especially susceptible to mental health problems like depression, addiction, and post-traumatic stress disorder. But that doesn't have to mean the end of a career. When cities build a culture of support, where individuals can get the help they need, mental illnesses can be successfully treated and even prevented. See how the first responder community and the League of Minnesota Cities Insurance Trust are addressing this issue in Protecting the Protectors. Effective hiring and managing techniques to keep “zombies” and “vampires” out of your workplace. Tips for preventing transitional conflict before it begins from Hamline University School of Business, an LMC Business Leadership Council member. Five steps you can take to update your city’s visual identity in Message Matters. You can also check out From the Bench for summaries of recent court cases, Focus on Small Cities to read about two small-city clerks’ backup arrangement, Two-Way Street for two cities’ experiences with Community Development Block Grants, and more! “It’s a zip your coat up kind of day,” said Baudette City Councilmember Marla Carlson. We were finishing up our lunch with her and other officials from Baudette, Blackduck, and Little Fork at Rosalie’s Restaurant and Lounge. 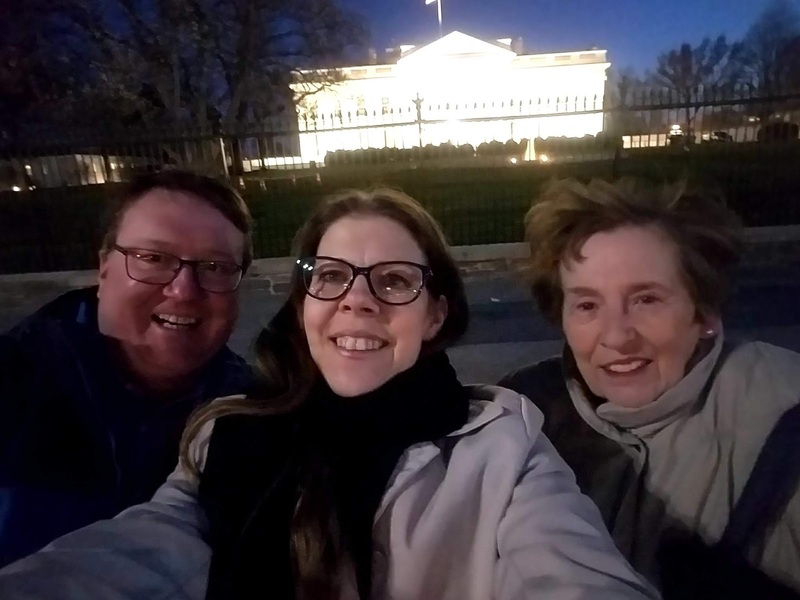 With temperatures hovering around -25 degrees on Jan. 29, it was Marla’s way of acknowledging that it might have been a tad bit colder than usual, but it was nothing the local residents couldn’t handle. Some of our gracious city hosts gathering in Baudette. You might be wondering what I (a city councilmember from Edina) was doing in Baudette during the 2019 Polar Vortex. 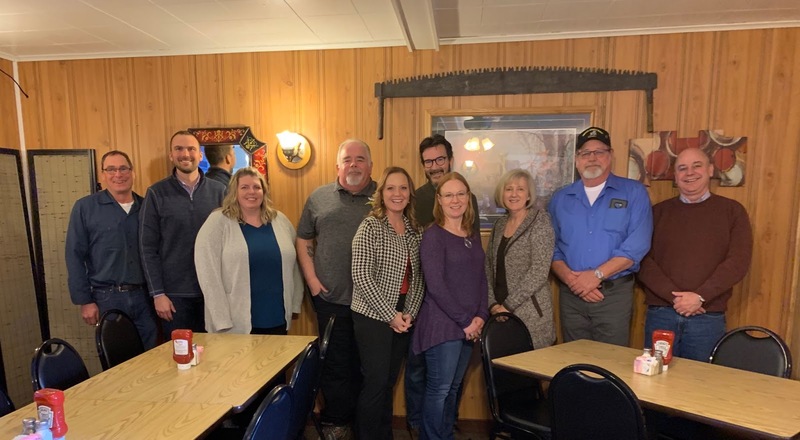 It was the latest of the visits Luke Fischer (the League of Minnesota Cities’ deputy director) and Dan Greensweig (the LMC Insurance Trust administrator) have been making around the state to meet city officials where they live and work. As a member of the League Board of Directors, I was invited to tag along. On this trip, we covered 950 miles and visited eight cities in six counties. 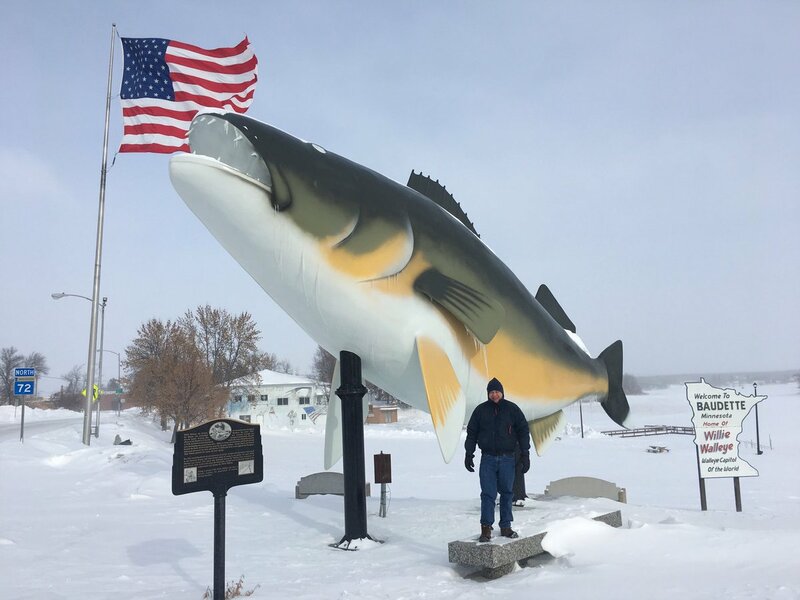 We met with 38 city officials from 18 cities and attended two city council meetings (and even popped across the Canadian border for an impromptu visit to Rainy River, Ontario). Oh–and survived temperatures of -38F and wind chills dipping as low as -64F. These trips provide us with the chance to meet folks in their own communities and gain a greater understanding of what those communities are all about. On that score, this particular trip did not disappoint. Despite the cold weather, we got to take in some of the local sites (did you know, for instance, that the Laurentian Continental Divide crosses County Road 39 just south of Blackduck, that the giant walleye in Baudette is named Wally, and that Mayor Bob Marvin of Warroad has an amazing collection of classic cars on public display at The Shed?) But more importantly, we got the chance to learn more about the challenges and opportunities facing cities in north central Minnesota. I have two big takeaways from the trip. First, the city officials we had a chance to visit with—both elected and appointed—were all amazing, dedicated folks working hard to make their cities the best they can be. Second, this part of the state has a lot going for it. With thriving major employers joining traditional agricultural and tourism businesses, there are lots of opportunities for communities to prosper. Challenges for cities, though, include providing the infrastructure to attract housing development (both the traditional infrastructure like sewer, water, and roads and 21st Century infrastructure like broadband), helping facilitate day care services, and providing ambulance services. These are familiar challenges to those of us who serve in local government. 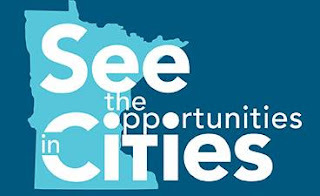 The League of Minnesota Cities is uniquely positioned to help cities in north central Minnesota and throughout the state by providing training, research assistance, legislative advocacy, and risk management. A few days hanging out with dedicated community leaders in this area of our state is a good reminder that we can all learn from each other, and constantly work to improve the lives of our residents. The City Spot Blog periodically publishes dispatches from city officials. Do you have a submission for The City Spot? Contact dcabot@lmc.org for more information. This is the first in a series of City Spot blog posts dedicated to stories of cities that are solving problems by putting ideas into action. You can read more Ideas in Action in Minnesota Cities magazine. 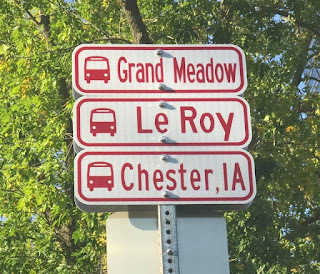 Since 1999, residents of the city of LeRoy, located 40 miles south of Rochester, could stay connected to the economic hub using Rochester City Lines. But when the service discontinued service to LeRoy (pronounced LEE-roy) in 2014, the need for transportation did not. 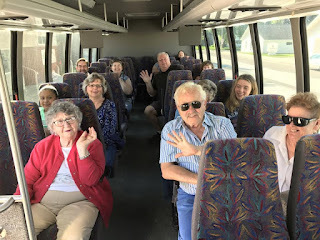 In the months after the service stopped, a group of employees who lived in LeRoy and worked at the Mayo Clinic organized a carpool to satisfy their transportation needs. Axel Gumbel, member of the LeRoy Economic Development Authority (EDA), was a driver for the carpool and says they were making the arrangement work until financial issues developed in summer 2015. After what Gumbel describes as “a year’s worth of intense discussion,” the city saw an opportunity to act. The LeRoy EDA approached bus companies about the possibility of resuming routes to LeRoy. When this didn’t work, the city turned its attention to buying a bus and operating a service. The city purchased a used, 31-passenger bus from Minnesota Coaches to get started. After factors including insurance, hiring drivers, and promotional materials were in order, LeRoy City Lines launched on Dec. 1, 2016. The city owns the service and the EDA operates it. Gumbel says LeRoy’s service “copied exactly what people had been used to with Rochester City Lines.” The service departs from LeRoy, travels north to Grand Meadow, ending in downtown Rochester. Mayo Clinic decided to subsidize a portion of the fare passes for employees who used the service, ensuring its initial success. Regular fares for the service are $10 per one-way ride, $86 for a 10-ride pass, and $219 for a monthly pass. 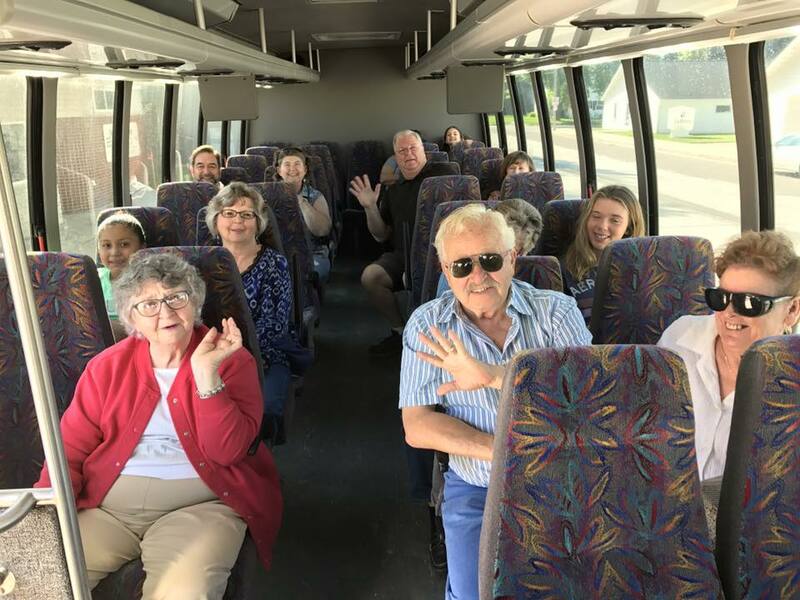 Weekday ridership to Rochester grew, prompting the EDA to purchase a 23-passenger, handicap accessible bus. Gumbel stresses that LeRoy Cities Lines is a resource for the entire region—not just the city. “Once we got it going, we weren’t shy about sharing it with everyone,” he says. One thing that helps the service is its willingness to try new things. Gumbel says LeRoy City Lines is “doing things Rochester City Lines never considered,” such as expanding routes beyond state borders. Due to growing interest, LeRoy City Lines extended to Chester, Iowa. 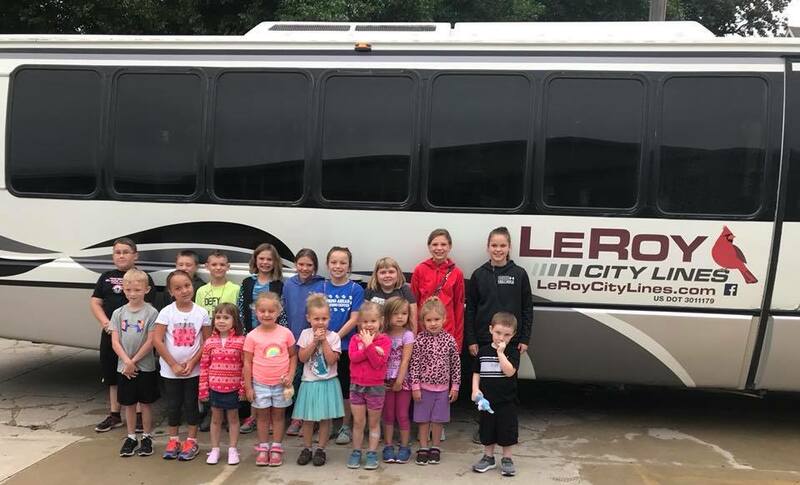 LeRoy City Lines now offers round-trip commuter routes from Chester, Iowa, to Rochester twice daily. 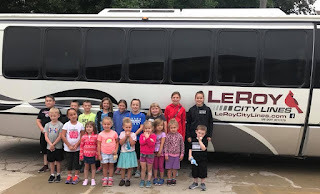 LeRoy City Lines also began offering a charter service and saw unexpectedly high demand for events such as weddings, church retreats, and school trips. To accommodate the new charter service, the city added a third, 32-passenger bus to the fleet. The service is also dabbling in providing medical transportation. Gumbel says they are still working out some challenges, so the service is offered upon request and not advertised as a regular offering. Like any business, there were challenges throughout the process of creating LeRoy City Lines. In hindsight, Gumbel said he wishes the EDA would have initially put more money into vehicles. The original three buses purchased worked well for the first five months, then repair bills started to pile up. The city eventually bought two replacement buses and now keeps the original 31-passenger bus as a back-up. Gumbel advises other cities considering tackling public transportation to invest in quality vehicles and to spend time on the business logistics and customer service. Gumbel emphasizes that formal education on the topic is not required, so long as cities have the right mix of skills and the “drive” to take on the issue. It’s the beginning of a new legislative session at the state Capitol and—yes—the League will be advocating on behalf of cities every step of the way. But who are these advocates? 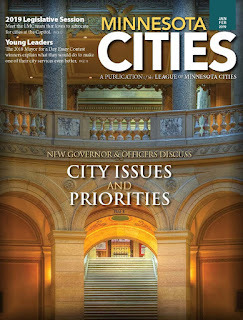 Find out in the January-February issue of Minnesota Cities magazine! We asked our lobbyists a few questions—both professional and (just a little) personal—to help you get to know them better. Check it out in Meet the LMC Lobbyists. And speaking of the state Capitol, there will be lots of new faces around there this year, including a new governor. We talked with Gov. 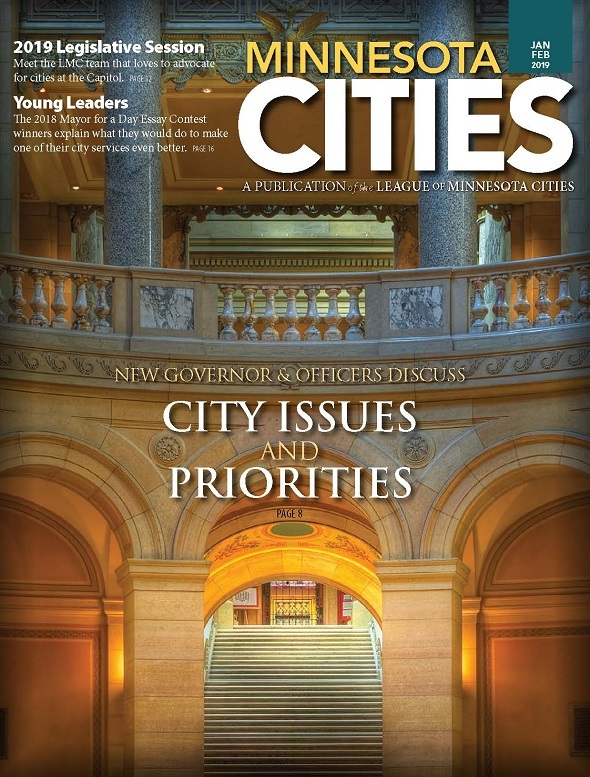 Tim Walz, as well as newly elected State Auditor Julie Blaha and re-elected Secretary of State Steve Simon, to find out where they stand on topics of importance to cities. Read all about that in New Governor & Officers Discuss City Issues and Priorities. The winning essays from LMC’s 2018 Mayor for a Day Essay Contest. How more images and fewer words can improve your city newsletter in Message Matters. Tips for effective water quality management from WSB, an LMC Business Leadership Council member. Why your small city should consider using managed IT services in Focus on Small Cities. How Falcon Heights’ response to a tragic event reinforced its inclusive values in Ideas in Action. As always, you’ll also get insights from LMC Executive Director David Unmacht in St. Paul to City Hall, summaries of recent court cases in From the Bench, answers to frequently asked questions in Ask LMC, and more. Bonus! This issue includes a four-page special report on the League’s 2019 legislative priorities! 2018 was a time of many learning experiences, victories, and goodbyes. The goodbyes are always most difficult. First, I would like to take a moment to say a heartfelt “thank you” to the many elected officials who are “retiring.” Your contributions not only to your city, but to the collective Minnesota cities community have made ALL of us better. Please do not be a stranger to the LMC. We still need you! As I look to the year ahead, I challenge each and every one of you: Instead of making the usual list of New Year’s resolutions that includes a variety of healthy lifestyle choices, might I suggest adding an LMC activity. It can be as simple as joining a MemberLink community, attending a function (the Legislative Conference in February, the Annual Conference in June, a fall Regional Meeting) or jumping in with both feet and joining a policy committee. As I look to the year ahead I know that together we will continue to make a difference in our cities, communities, at the state capitol and at the nation’s capitol. As always, your stories make a difference in good policy-making decisions. Thank you for all of the work you do on behalf of your cities; it is greatly needed and appreciated! As my 14-year-old daughter says, “Let’s do this!!! !” Season’s greetings and happy 2019! Heidi Omerza, and White Bear Lake Mayor Jo Emerson.